Wahl is a brand of men's trimmers including trimmers for beards, mustaches, goatees, body, and ear / nose & brow. Products are sold in over 150 countries worldwide with the Wahl Super Taper being one of the most popular electric razors used by barbers across the world. The release of the Wahl Finale 5 Star Foil Shaver also received critical acclaim. 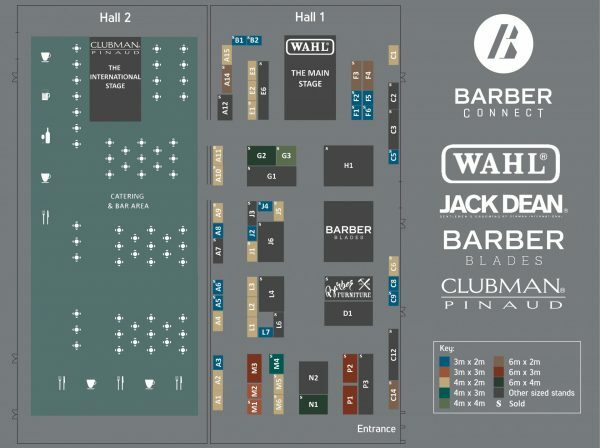 We're delighted to confirm Wahl as one of our main sponsors Barber Connect 2018. As well as having a stand with Wahl products, there will also be a Wahl Stage where you can learn from some of the best in the business. Expect seminars from Simon Shaw, 5ive, Michael Damiano and Carl Blake. With such unparalleled experience the Wahl Stage will not be one to miss!